This grating disk is for use on the All Purpose Mill. 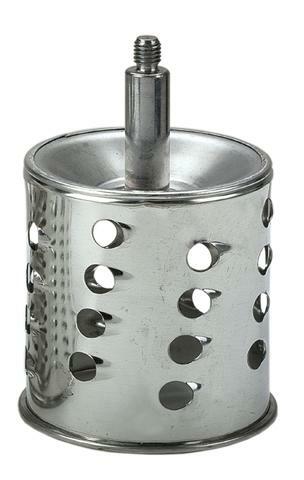 The size of the holes in the drum is approximately 9 mm. This disk is suitable for grating vegetables. This disk is described as Extra Coarse. Click the button below to add the Coarse Grating Disk for Suction cup or clamp grater and mill from Czech Republic to your wish list.